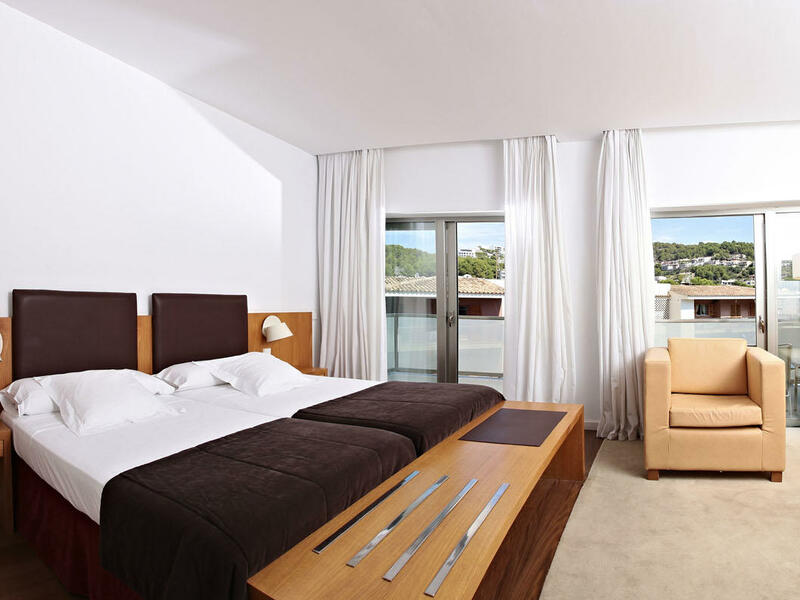 Gazing at the Port de Sóller comfortably from the quietness of your room is possible at the Amia Hotel. After spending the day visiting the island or after a spa session, relax in one of our sea view rooms to put a nice touch at the end of your quiet day in Majorca. 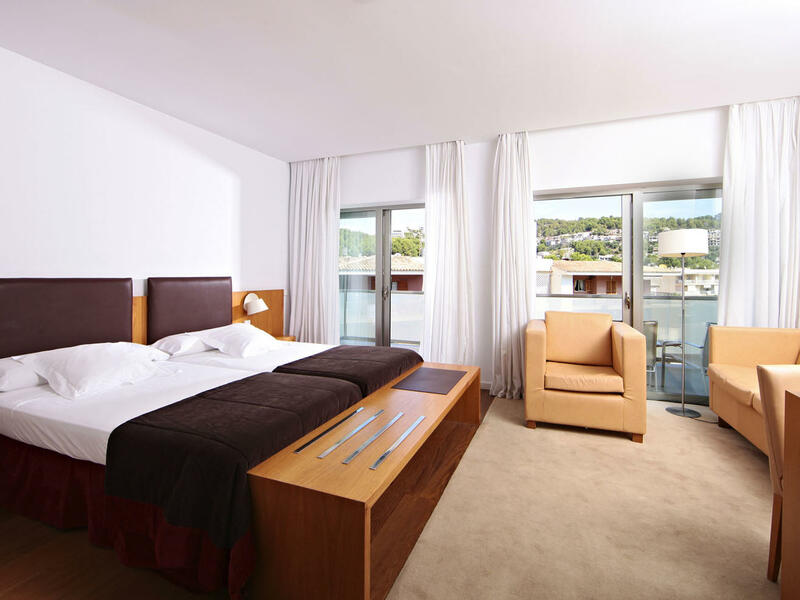 Our four-star hotel has 43 rooms distributed in four stores, most of them with a sea view. 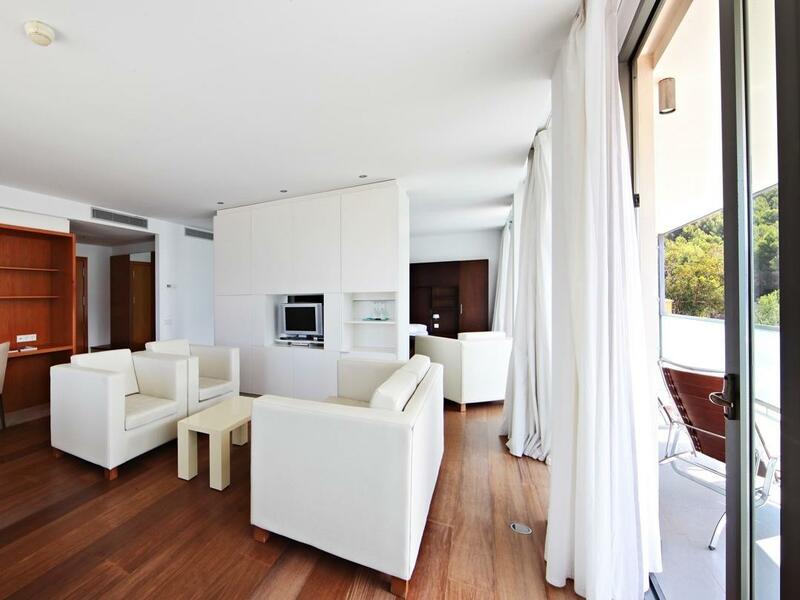 In order to make your Port de Soller accommodation stay more comfortable, they all have a heating/cooling system, mini-bar, telephone, internet connection, safe, and a bathroom with hairdryer, magnifying mirror, bathrobes and slippers. The double standard rooms at the Aimia Hotel are as nice as our superior ones, but more practical. They are the perfect choice for guests who spend most of their holidays strolling around. In our superior rooms with lateral sea view you will gaze at the sea from a spacious balcony. 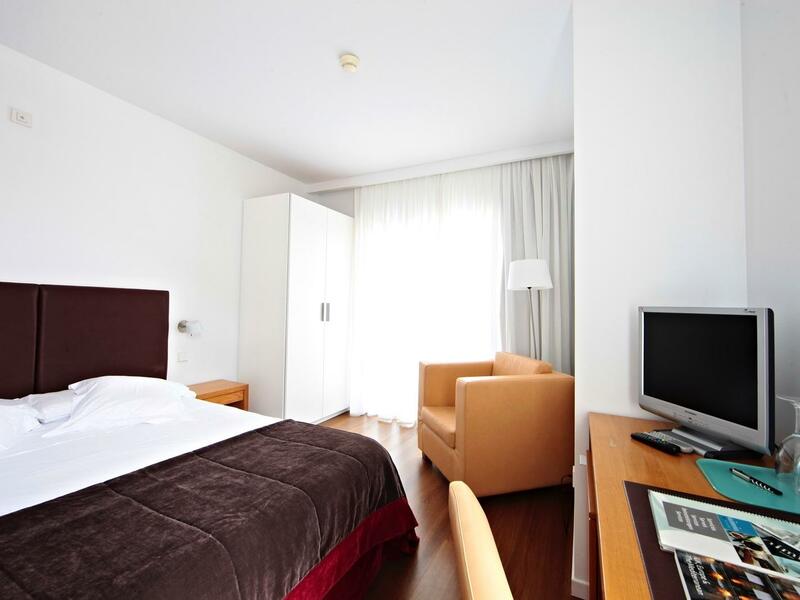 Besides, enjoy the comfort of a wide space to rest with the comfort of feeling at home before spending a day off enjoying Majorca. You will enjoy the best views over the bay from the terrace of our Junior Suite. It is placed on the highest floor of the building and has a living room, being perfect for your holidays with your partner or family. Along with a stunning view of Port de Sóller it also has a private jacuzzi, to make your experience even more relaxing.